Chris from Revolution Products just fired us through this press release about signing all round ripper Luke McCombie to the Transition New Zealand team. 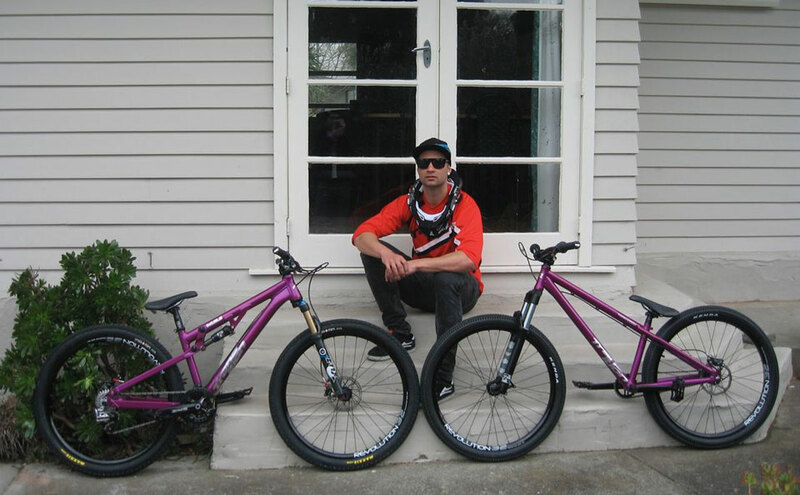 We are super happy to announce that Luke McCombie has joined our family of supported riders! Luke will be using all our brands, Transition Bikes, Leatt neck braces and we’ll even see videos of Luke using our Contour cameras. We first met Luke a few years ago and loved the way he rode. He has a laid back and friendly approach to everything and we can’t wait to see Luke ripping on his new Transition Double and Trail or Park! "I'm super pumped to be riding for Transition/Revolution for this coming summer! It's awesome to be able to have bikes that fully suit my riding style. Chris has been really supportive with everything and knows all about what's happening in the scene. I'm really excited about this and looking forward to working with them over the next year." So keep an eye out for Luke at your local dirtjumps and trails; you’ll be sure to see him as his new purple bikes sure do stand out.